We are committed to provide quality dental and hygiene care in a relaxed, friendly and caring environment. 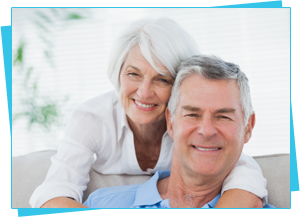 Our aim is to provide ethical care which is patient centred. Based in Pembury near Tunbridge Wells, we provide a complete dental care service for our patients from preventative care and maintenance to cosmetic treatments designed to give you a happy confident smile. At Pembury Dental Surgery we care for patients of all ages, with children receiving dental treatment under the NHS. As a practice we take pride in creating happy and lasting relationships with our patients and would like to continue to build on our reputation of satisfied patients. Located in Pembury just outside Tunbridge Wells in Kent, our dental surgery is ideally located to provide a wide range of dental treatments and hygiene services to patients throughout Kent including Sevenoaks, Borough Green, Brenchley, Matfield, Tunbridge Wells, Pembury, Lamberhurst, Crowborough, Paddock Wood and Tonbridge. Our range of dental treatments and hygiene services will meet the needs of the whole family, these include routine dental check-ups, fillings, fissure sealants, root canal treatment, crown & bridgework, extractions, dentures and tooth whitening. We appreciate that some patients will be nervous and anxious about any potential treatments, so we take time to help in any way we can throughout the procedure, explaining what is involved and what the process will be while making sure they are calm and relaxed.